Happy Sat!!! I wanted to share with all of you my finished cards I made for my spot(s) in the StampTV Christmas Card Swap. I signed up for three spots - each spot you make 6 cards total - one the hostess keeps - and the rest are split up among all the other people that signed up for spots. This is the second time I have participated in this swap - but it wasn't Christmas themed. 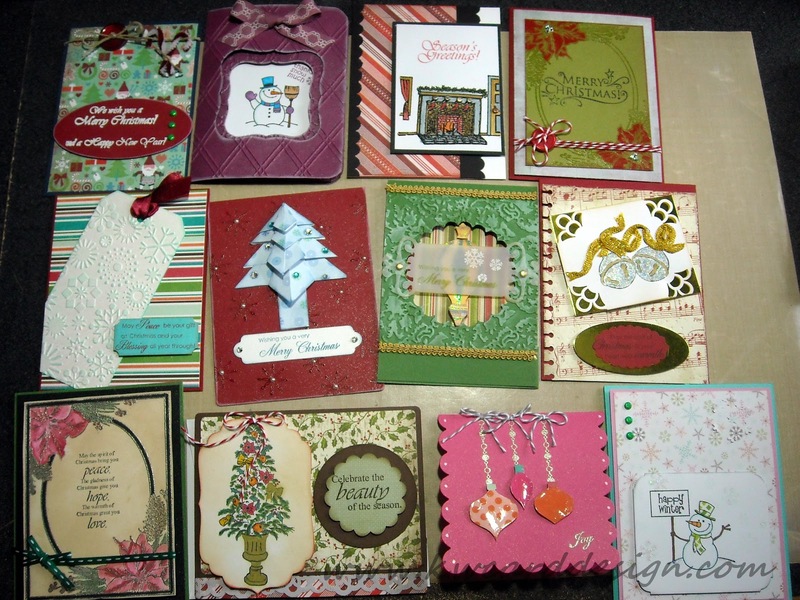 There are no restrictions really, other than you have to use a Gina K. Designs stamp set or one of her designers. I am VERY limited on the Christmas stamp sets I have of Gina K's, so much in fact, that I had to purchase a couple of sets. This swap challenged in me in many different ways for sure, but now that they are done - I am so proud of my self, and what I have made!! I hope the ladies that receive ANY of my cards feel the same way. 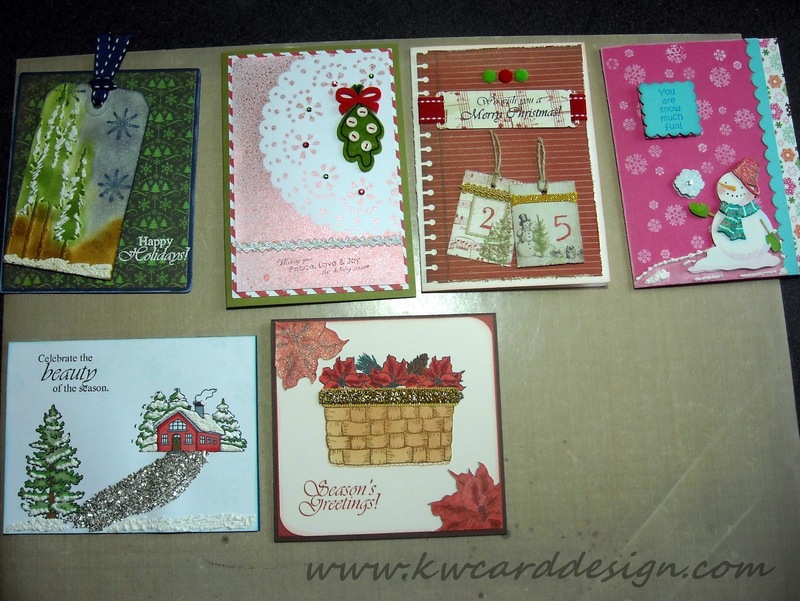 OK- so now without further or do - here are a couple of pics of my finished cards!! Well - off they go in the mail on Monday!! I am anxious and excited to see what cards I receive!! Also - I get TWO prizes - one for signing up for a second spot and two for landing on a # 10 spot! YAY! Hope you all are well - and able to get some crafting in during the weekend!! Thanks for stopping in!! beautiful set of cards. this sounds like a really fun swap! i love the teal Christmas tree and your glossy ornaments! 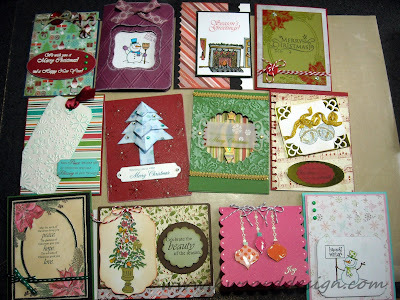 These cards are awesome Kari! Thanks so much for stopping by my blog and leaving a sweet comment. I appreciate it!